Feeling Worried Because Your Animal Isn't Feeling Well? 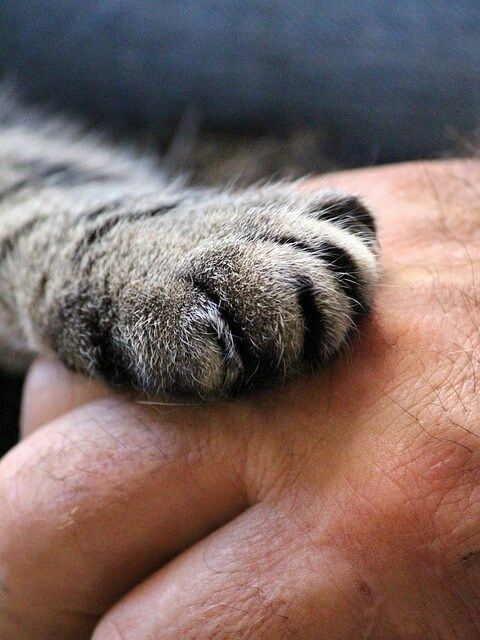 You're In The Right Place Because Healing Pets (and People) is My Specialty! Are you afraid your dog is suffering? Worried your cat is sick or in pain? Can’t figure out how to help your horse with mystery lameness or health issues? Has your vet done all they can but it’s not helping? If yes, then you need Val’s Heart Healing, FAST! It’s time to experience the power of a HEART Style Healing Session. A profound journey filled with alternative energy therapies, Bodytalk for animals, Animal Reiki and medical intuitive scanning sessions for you and your pets. If your pet is sick, they are desperately trying to tell you something so let’s find out what they really want so they (and you) can feel healthier, happier and more at peace. Abie, a long hair tabby cat, was dying and unable to get up out of his bed in the closet. Groaning with pain, he tried to get to his food dish or litter box, but gave up panting and exhausted. His owners were distraught at the thought of losing him, and in desperation they searched for help. When Val communicated with him, Abie told her about a recent trauma he’d been through. He’d been taken to the vet to have his teeth cleaned, and something had gone wrong with the anesthetic. His head was STILL hurting terribly and he felt so toxic he was nauseous and dizzy. The whole experience had caused him to lose trust in his people. He felt horrible. Val immediately began intensive healing with him to soothe his emotional, physical and spiritual pain. Using the Bodytalk for animals healing system, she quickly repaired his body so he could heal. The very next day Barbara his human caretaker emailed to say that Abie had astonished them all. Overnight, he had gotten himself out of the closet and promptly returned to his most favorite living room spot. They were so worried when they couldn’t find him in the closet, and feared the worst had happened. But when they finally found him, they felt immense gratitude and relief because he was sprawled out happily sunbathing. Within just a short amount of time, Abie had recovered completely. Is your pet sick? Get the help they need now! Choose from any of the Consulting Plans below and we’ll get started. Before you decide, you should know that Val’s Animal Communication, BodyTalk for Animals, Medical Intuitive Scanning and Intuitive Guidance Sessions are unlike those of other professional animal communicators, animal intuitives, healers or therapists. If you are coming to Val for a session like this, be prepared because animal communication, healing and intuitive guidance done right is a profound spiritual journey, one that can easily change your life. Animals often spend their entire lifetimes trying to break through your barriers. Together you can evolve into advanced states of love, self expression and embrace an empowered spiritual connection with a deep profound level of understanding of yourself and the world around you. She’s learned through her extensive education. training and well over 40 years of experience that the human is always intimately involved with the well-being, health and behavior of the animal. While most people are astonished to discover the phenomenon of the Human Animal BodyMind Connection and how their pet mirrors them, many aspects of animal behavior, health and well-being is in fact a reflection of their purpose together, sometimes known as a “Soul Purpose Contract”. As Val works with you and your pet to help you solve behavior issues, health problems, relationship problems and more, she is always listening to the Spirit of the animal and to Guidance to discover why that animal is a part of your life, what the underlying lessons are, what he/she is here to help you learn, and what is needed to create the best life experience for both of you. An empathic animal behaviorist, Val’s unique intuitive work, education, expertise and healing skills incorporate all levels of physical, emotional, mental and spiritual levels. Working by order of priority, the most exciting part of every session is that both you and your pet can experience amazing changes in your relationship, and that those changes will reflect into other areas of your life. 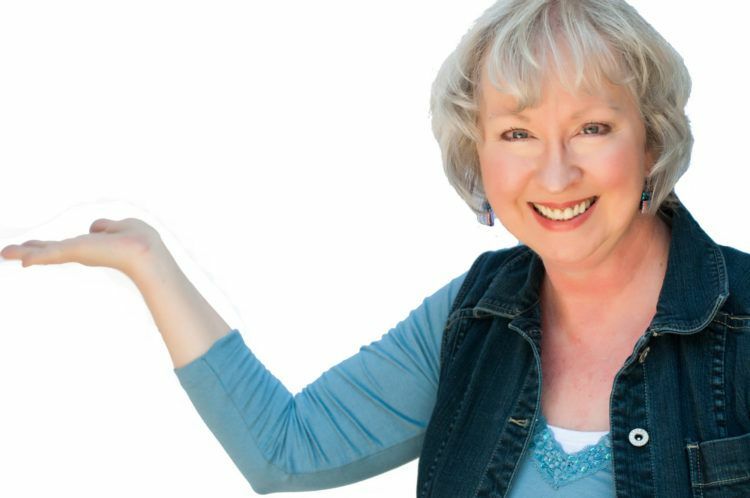 Val is a highly trained, advanced PaRama level certified practitioner in The BodyTalk System. She graduated from The Lionheart School of Healing, and has studied all forms of healing and therapies extensively for well over 40 years. She also founded the Heart Method™ of Quantum Leap Consulting based on BodyMind Assessment & Balancing techniques. Val works with domesticated and wild animals, and animals alive physically as well as those who have transitioned. She can work with one or many animals in groups. You do not have to be in the same location or touching each other for her to work her magic. If any of these situations ring true for you, then you’re in the right place. NOTE: The healing journey is often like peeling an onion, each session goes deeper and builds on the work done before. For serious health situations, Val highly recommends committing to a minimum of 3 healing sessions (The Silver Consulting Plan) which allows time to begin healing at core fundamental levels, using the principle of priorities. NOTE: Val is not available for emergency work. The best thing to do is to get on her schedule and then ask to be put on the top of her wait list. Read our FAQ – I bet the answer you’re looking for is right here! Ok folks just finished my communication and healing session with Val in regards to my beagle Snoopy who has had a chronic ongoing cough that has not been solved with meds or the vet hasn’t offered any solutions other than saying it’s just an old man cough… seriously?! I wish I could tell you what Val did but I have no idea other than something she calls BodyTalk for animals, which I’ve not heard of. She said a bunch of big medical related words that I don’t get and she scanned his body medically saying more big words I don’t know, and the whole time my dog has stopped coughing!! Sitting here typing this and he is happily and peacefully sitting next to me NOT COUGHING. I don’t know what to say. Wholly crap… how about that. 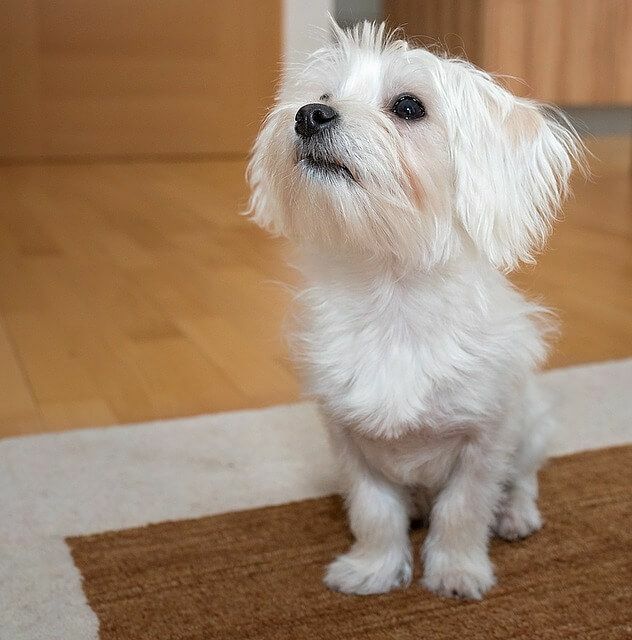 “Three and a half months ago I was devastated with the news that my sweet, loving little dog had advanced liver disease. Armed with nothing but a prescription for antibiotics and Denisile and a “wait to see what happens” from the vet I read everything i could get my hands on from the Internet and ordered in all probably $1,000 worth of supplements, ebooks and found my self shopping for the best quality of anything I thought Willy might be able to eat and keep down. After 45 days Willy seemed to be improving remarkably. I live in a heavily mosquito infested area and since Willy had already skipped one month of heart wormer, I gave him his dose and he crashed three days later. The vomiting, jaundice etc. were back and we were at square one again only the vet didn’t seem to think that the heart wormer was to blame. Willy was begging for the worst kinds of food (cheese and ham) and he started to swell with ascites. He got so big and uncomfortable and i thought we were losing the battle. In my researching the Internet i saw Val Hearts site and contacted her for an appointment. At the time I was irritated at her fee and in the back of my mind thought about cancelling it. The following week in my work, the new clients I attracted seemed to want me to work for a lot less than I was worth so I recognized this as a message from the universe and started to open my mind about the price. While waiting for her consultation my little dog started having tremors and couldn’t walk and it was so heart breaking I decided upon rising one day to have him euthanized when I got home from work. i called Val and left her a message telling her this and she called me back within an hour and asked me to consider waiting if I could until after her session which was 4 days away. When I got home, Willy greeted me with so much enthusiasm, I knew Val was right and we scheduled an ultrasound from an internal specialist for the next week. Our session came and it was so beautiful and profound it is hard to put into words. Val communicates with animals from the highest possible place…she touches the sacred place in beings and heals from this place Willy had allot to say about the purpose and reason for his illness and how i could heal him. Being able to communicate to him so precisely enabled me to see him as the high spiritual being he truly is and in thus doing he started to heal himself in the session. He said that the something that was twisting in his stomach was unwinding and that he was already feeling the pressure release. During this session, Val applied healing to every being in my household and gave a rating on what Willy was taking and eating as to what was most beneficial and least beneficial. 36 hours later Willy’s fluid build up was totally and completely gone. The Dr. giving the ultra-sound (3 days later) said there was NO fluid in his abdomen and that what ever was causing the the disease was gone, she said that she would even call it a miracle. My Bone Marrow Cancer Gone! Gelding Overcomes Mystery Lameness to Compete Again! I first met Val a number of years ago when my Arabian gelding, Tiger, was having some problems. He wasn’t performing well at times, and was often experiencing mysterious lameness. I have been consistently impressed with Val’s ability to pinpoint the issues and am very pleased with the results I experienced. 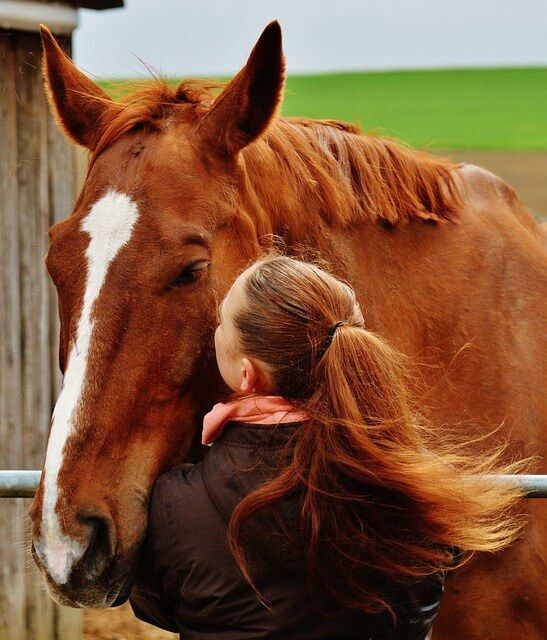 I felt I had a partner to help me better understand my horses, and also made a good friend. I am glad for all that she’s taught me over the years, and glad she’s part of my team. Spending time talking to Val about my dog, Stella, turned out to be very enlightening, fun and more productive than the many trips to the vet have ever been. I contacted Val because I was concerned about Stella’s chronic urinary tract infections and allergies and I needed to know if there was anything Stella wanted me to know about her health or general well being. Val provided me with so much insight on my dog, that I could not possibly list it all here. For instance, she pin pointed specific problems with her food, and since switching her diet, we have noticed a significant decrease in the amount of yeast on her skin and a lot less scratching. I am certain that I will work with Val again in the future, and I would recommend her to anyone who has questions about their animals! Would You Like to Work With Val? 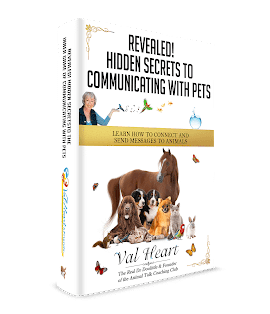 Val’s One Heart Animal Communication Animal Communication, Problem Solving, Healing & Intuitive Guidance Programs are perfect for improving and even solving health problems, but her work is unique and not everyone is a good fit or ready to go that deep. If you just want Val to tell your pet to feel better, but are unwilling to make changes of your own? Then you’re not a good fit. If you are doing this just for curiosity, to see if Val can tell which leg your pet is lame on? Then you’re not a good fit. If, however, you are ready to dive deep, to experience a quantum leap in discovery, a breakthrough in healing for your pet and you too? Then you may be a perfect fit! Not to worry, she can help you do that too. She’ll be working as much with you as your animal to find the real root of the problems, to bring clarity to the Human Animal BodyMind Connection between you, and to up-level you both so you can be the best version of yourselves possible. Once your payment has been received, you can immediately schedule your sessions from the available times on Val’s schedule. NOTE: At the end of your session, Val will guide you as to what’s next to solve the health problems you’re struggling with so you can enjoy your pet can be happier and healthier!